You no longer have to carry around your scientific calculator everywhere you go. With some of the Top 5 scientific calculator apps for Android mobile phone, iPhone, iPad and tablet bound to turn your phone into a complete scientific calculator, you can quickly turn your Android phone into a calculator in no time. Now these Scientific Math Calculator apps are for free download and available on play store for Android mobile phones. PowerCalc is a powerful android app that turns your android device into a full scientific calculator. IT supports a number of functions including complex problems and number equations. This app makes your phone look and work like a real scientific calculator. RealCalce, considered android’s No.1 virtual scientific calculator app, also looks and feels like a real scientific calculator. Some of the notable features include; easy unit conversions, result history, physical constants table, fractions, percentage, quadratic, addition, subtraction, multiplication, ratio, scientific, sales, tax, VAT, interest, and Traditional Algebraic operations amongst other features. It is a wonderful calculator app that works well on a number of phones. Mobi calculator is a free universal scientific notation calculator that has two functions, you can use it as a regular calculator for simple arithmetic problems or switch to the more complex scientific mode when dealing with complex problems. It is the ideal for both the simple and advance calculations. The best feature about this app is that has a very small apk file and does not have any Advertisements despite being a free app. It also has cool colour themes and displays large digits. 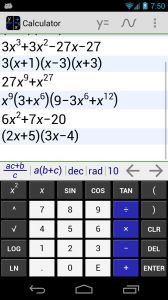 Panecal Scientific Calculator app also makes your phone look like a real scientific graphing calculator. It even does an impressive simulation of the LED display screen of a conventional calculator. The app allows you to edit your functions thanks to a multi-line display that allows you to move the cursor to the points you want to change letting you correct input errors on the go. It also performs all the functions of a scientific calculator, which include; binary, decimal, octal and hexadecimal conversions, base conversions, percentages, has DEG,RAD and GRAD modes amongst many other features. Classic calculator app is an Android app designed for both high school and college students. It has a simple layout and will perform any function you expect in a real online scientific calculator. 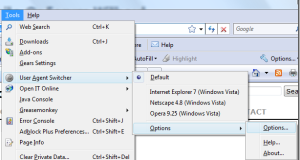 Additional features include a copy to clipboard feature, memories amongst other added functions. You can perform all kinds of mathematical functions on it just as you would on your calculator.